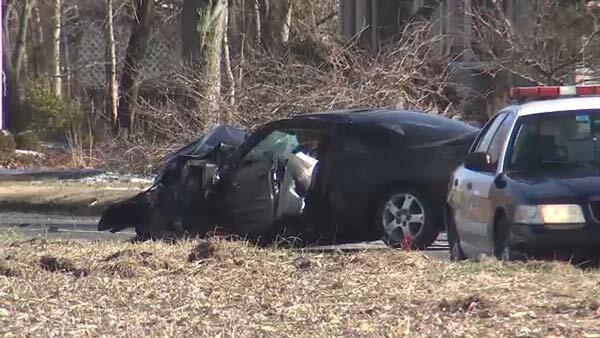 HAMMONTON, N.J. (WPVI) -- A man was killed in a head-on crash in Hammonton, Atlantic County. The crash happened around 8:30 a.m. Sunday on US Route 206 near the intersection of Union Road. According to a witness, a 25-year-old driver of a Mitsubishi Eclipse was trying to pass a car in the southbound lanes and went into the northbound lanes. Police say, once in the northbound lanes, the Eclipse hit head-on with a pickup truck driven by 67-year-old Joseph Bellace, Sr. of Hammonton. Bellace was pronounced dead at the scene. The 25-year-old driver and his passenger were transported to AtlantiCare Medical Center City division for injuries.